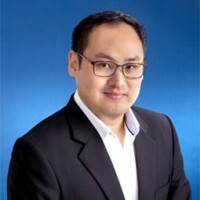 Kenneth is a lawyer practising at Characterist LLC, Singapore. He practices in family law, wills, probates, trusts, real estate, contracts and commercial disputes. In the area of family law, he assists clients with divorce, separation, adoption and personal protection. In wills and trusts, he helps clients with writing wills, setting up trusts, administrate deceased estates and apply for deputyship over the estate of mentally incapacitated family members, and grant powers of attorney. In the areas of conveyancing and real estate, he assists clients with their property purchase, sale and lease. In the areas of commercial agreements and disputes, he helps clients with contacts and agreements for leases, labour supply and goods supply, as well as related disputes. Kenneth has acted for businesses and companies, individuals, hotels, banks, the CPF Board, societies and associations.